Whenever Maori claims to the Waitangi Tribunal are brought to the public attention through the media it seems that, for many non-Maori, these are like bolts from the blue. The implication is that such claims are new, opportunistic and manufactured. That is invariably not the case. Nearly all such claims have deep historical roots. It is not my intention to outline here the abundant evidence of historical Maori claims to water. 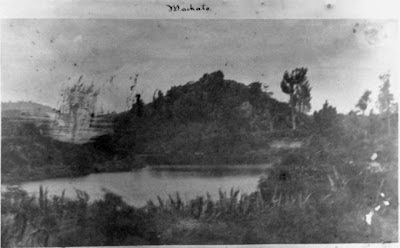 Instead, a single piece of evidence concerning historical Maori claims to the Waikato River is highlighted. Firstly, let me briefly explain the context. In 1859 the government forced through the purchase of the Pekapeka block, at Waitara, in Taranaki, against the determined opposition of many owners, led by Wiremu Kingi Te Rangitake. A year later, Crown efforts to forcibly survey the block were met with peaceable opposition from members of Te Ati Awa about to be dispossessed of their lands. The government responded by opening fire on Taranaki Maori, and the first Taranaki War broke out. Months later, many Waikato, Ngati Maniapoto and other Maori went to the aid of their Taranaki kin. Thereafter, the people of Waikato were branded obstinate ‘rebels’, even though many Pakeha acknowledged that the Waitara purchase was a deeply unjust one. The Taranaki War, and Waikato involvement in defending the rights of their Taranaki neighbours, brought to a head growing tensions caused by the Crown’s unwillingness to acknowledge the concerns of the Kingitanga movement. It had emerged out of Waikato after 1857 in response to growing Maori anger and consternation at the Crown’s unwillingness to find a place for Maori in the governance of the country (besides worries over the alarming rate of land alienation, settler racism directed against them and other matters that would take too long to explain here — perhaps topics for a future post). Suffice to say that, after a truce was brokered at Taranaki in March 1861, attention moved to the Waikato. Governor Thomas Gore Browne prepared to invade the Waikato in September 1861, determined to impose unfettered Crown sovereignty over all Maori. Iwi and hapu were to be taught a lesson about who was really in control, regardless of whatever the Treaty might have said about respecting chiefly authority or tino rangatiratanga. That was to be achieved through directly confronting the leading supporters of the Kingitanga in the Waikato. Before he could do so, the bumbling Browne was replaced as Governor by Sir George Grey. He had been lauded for his governorship of New Zealand in the 1840s, when confronted with a similar situation in the north, but all eyes were now on his intentions. Would it be peace or war? While Grey talked peace, he prepared for war. 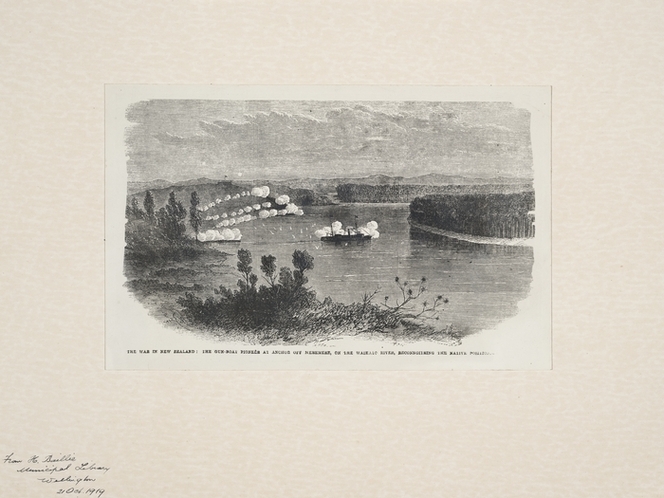 The Great South Road was constructed to take troops to the Waikato, British troop numbers built up to alarming levels and steamers ordered to eventually patrol the vitally important Waikato River. When Waikato Maori expressed alarm at these developments, Grey taunted them that, for their insolence, he would put not one, but two, armed steamers on their river. He rejected their argument that the management of their own river remained with the Waikato tribes. The new Governor, like his predecessor, was also determined to show Maori who was boss. For many Waikato Maori it became a case of not if, but when, British troops would attack them. By early 1863 Grey had brushed aside Waikato efforts to reach a rapprochement. At a time when above all else ongoing dialogue was required, the government instead resorted to name-calling, responding to the Kingitanga newspaper Te Hokioi (named after an unseen mythical bird with supernatural powers) with Te Pihoihoi Mokemoke i Runanga i te Tuanui (‘the sparrow alone upon the house top’, reflecting its editor John Gorst’s isolated position as Civil Commissioner for Upper Waikato). The mocking and contemptuous tone of the government’s propaganda vehicle, first published at the start of February 1864, had greatly angered Kingitanga supporters. First. The bringing of great guns, Second, the sending those terrible things here and the things that are known are, the covering that steamer with iron, persisting in sending her here in defiance of the word of the Maoris. And the word spoken by the Governor to Wi Tako, Heremia and others, telling them to throw down the flag, and put an end to the King movement. “If the men of New Zealand are not willing to cede (yield, or give up) the mana of their lands, rivers & fisheries to me, well and good, let them retain the mana themselves.” This is one of the rivers which we wish to retain. Now friends, why is this plain word of our Mother the Queen not acted upon? It has been altogether trampled under your feet. In the context of aggressive Crown threats to take control of the Waikato River, local iwi therefore asserted their ownership of the river, and queried the government’s commitment to its solemn undertakings made in the Treaty. (For them the riverbed and the water were one, part of a living and holistic whole, and of which they were guardians, regardless of what English common law might say on the matter). Sound familiar to anyone? Good to discover your bog Vince. You have shown great restraint to present the essence of the events, without getting into too much detail (or footnotes).I look forward to reading more. Ae tika te korero, we are always being victimised and told that our History holds not record. I say this is record enough - it is our right to fight for what was once our way of life. My grandfather arrived in NZ over 100 years ago with nothing. He slept on the beach. He found work fishing and eventually saved enough money to build his own fishing boat. He continued to work hard and made a life for himself. Our family have always worked hard and we have made our lives not expecting handouts from anyone. "it is our right to fight for what was once our way of life" What a complete load of nonsence. Get off your fat arses and work for a living instead of bleating on about the past and expecting free handouts. You know if the French had of beaten the English to NZ your race would have been wiped out. To anonymous 23/9/12, i dare you to say that to any maori face, especially mine, go on. The problem with weirdos like you is that you think you can just plant YOUR fat arse in any country and moan about those other races and how hard your weak, broke grandfather worked. Easy to talk like that behind a key board aye! I bet you always mumble racial slurs under your breath around ethinc people. If you want to tell me to my face, reply to this and i will meet you somewhere. If you don't reply, well, we all know who the scared, can't back themselves bigot is then.